LAUDERDALE, FLORIDA, October 22, 2018 – Butters Realty and Management has hired Industry Veteran JC Conte to lead their Industrial Leasing & Sales Team out of their Broward County headquarters. As an Executive VP for the Butters firm Mr. Conte will be responsible for leasing in the firms growing South Florida industrial portfolio. 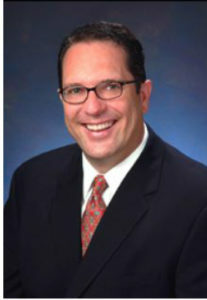 Conte has an extensive background in South Florida Industrial brokerage with prior partnerships and employment with the Staubach company (later sold to Jones Lang LaSalle), CB Richard Ellis where he spent 7 years rising to Vice President of Industrial Brokerage Services and Easton Babcock & Associates where he started his career. His prior client and transaction list is extensive and includes Ave Aviation and Commerce Center, Adler Group, The Spice Lab, Doormark, Principal Global Life, Sentinel Real Estate Group, Qmed Corporation, HD Smith, Marble of the World, EastGroup Properties, Farm Stores, Associated Grocers, Carls Furniture and many others. For the past eight years he was the principal of his own firm, JC Commercial Realty Consultants, Inc., which he winding down to focus on growing the Butters Brokerage platform. 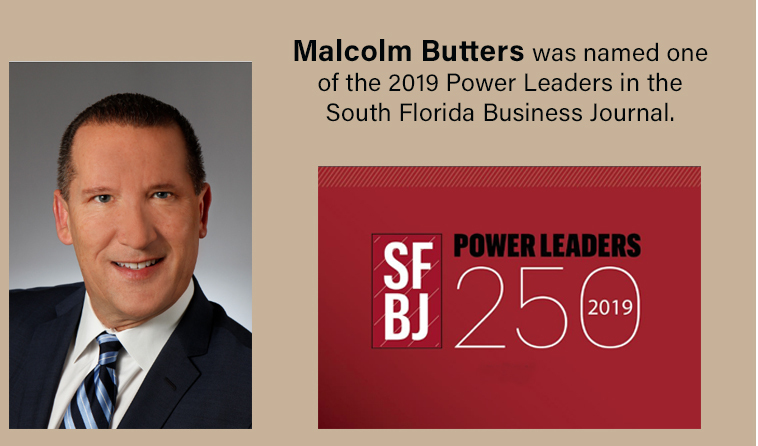 “I am very pleased to be able to co-labor with Malcom and the entire Butters Team to enhance their fine tradition of delivering value add solutions to their private and institutional partners.” said JC. Malcom Butters, CEO said “We are fortunate to bring JC onboard at this time of tremendous growth for us. We have worked closely with him for over 20 years and his dealings with us have always proven his character and expertise to be exemplary.” said Butters. Butters is a privately held, real estate firm, engaged in the construction, development, investment, property management and leasing of industrial, office, and retail properties. The Butters organization has consistently ranked among the most active commercial contractors, developers, and real estate brokerage companies, in South Florida, over the past decade. The Butters family has been headquartered in South Florida for the past 30 years. In 2002, the firm won the “Diamond Award” from the South Florida Business Journal and has won “Developer of the Year” Award from the National Association of Office and Industrial Properties, South Florida Chapter 5 times, most recently in 2015.